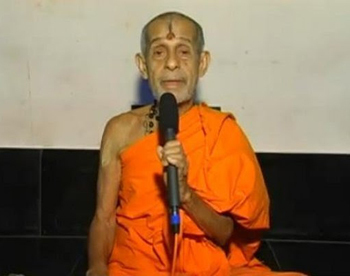 Udupi, June 11, 2018: As per the statement of Sri Vishweshateertha Swamiji of Pejawar Math, there will be no Iftar get-together at Udupi’s world-famous Sri Krishna Math for now. The swamiji told media at Krishna Kalyana Mantapa in Tumakuru on the sidelines of a district-level conference of Madhwa Brahmins. "We had organised Iftar get-together last year. However, this time I am on a tour of the state and hence it would not be possible to organise it. Also, Muslims themselves have not shown interest in organising Iftar at Krishna Math. Last year’s enthusiasm is absent this time," he said. "Some of the Muslims still have the false notion that last year the Iftar was organised in the room where God’s idols are kept. But the truth is Iftar was held in the adjoining room where there was no idol. Therefore, Muslims are not too interested in another Iftar at the Math for now," he added.